The Boston Marathon. A race to remember. 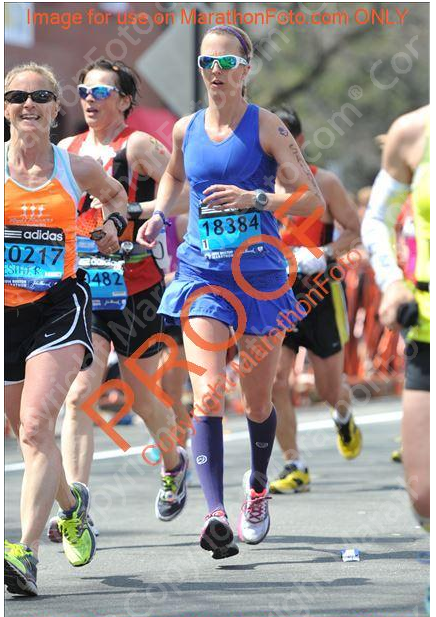 I promise I will have more of a recap about the Boston Marathon 2014 coming soon. I am still overwhelmed by running the race this year and this time it is for positive reasons. I ran my heart out on Monday and even though I did not PR and I did not re-qualify with my time I am very proud of my hard earned time of 3:45:43. The whole year leading up to the race has been an emotional journey and I have also fought hard to keep my body healthy and strong to be able to run injury free. 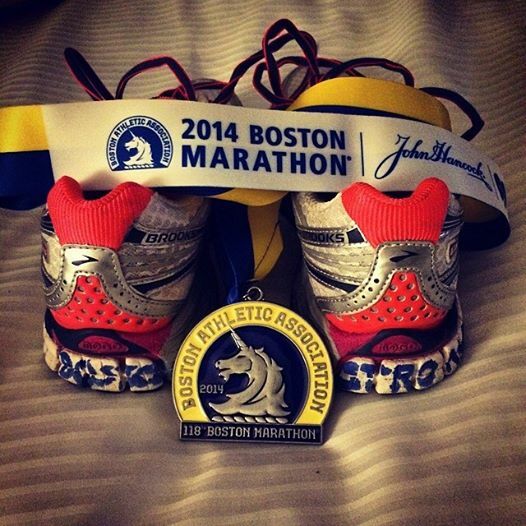 I am thankful to have been able to run the Boston Marathon with so many strong individuals. On Monday I witnessed the true strength of the human spirit and that energy has filled me up with new inspiration. I will never forget this unbelievable race. Thank you for supporting me along the way. I ran for all of you and for those who could not. I am proud to be BOSTON STRONG! It must have been SO powerful to be back. And an amazing time- congrats, Sandra! Thank you Laura! I was overwhelmed to run this year. The emotions were so strong. I was proud to run and ran with all my heart! After the year you have had, I am so glad this was a race to remember for all the right reasons! Thank you Angela! It was amazing to run this year, powerful and healing. Thank you Amy! It was an incredible race experience! Congrats! It was a great race, Love your photo! Thanks! YOu have been racing up a storm! How is your body holding up? Congrats on all of your super solid finish times! Amazing!